There’s one area of UPMC Passavant-McCandless where the sun always seems to shine, the grass is greener, and you can find peace and quiet in nature. 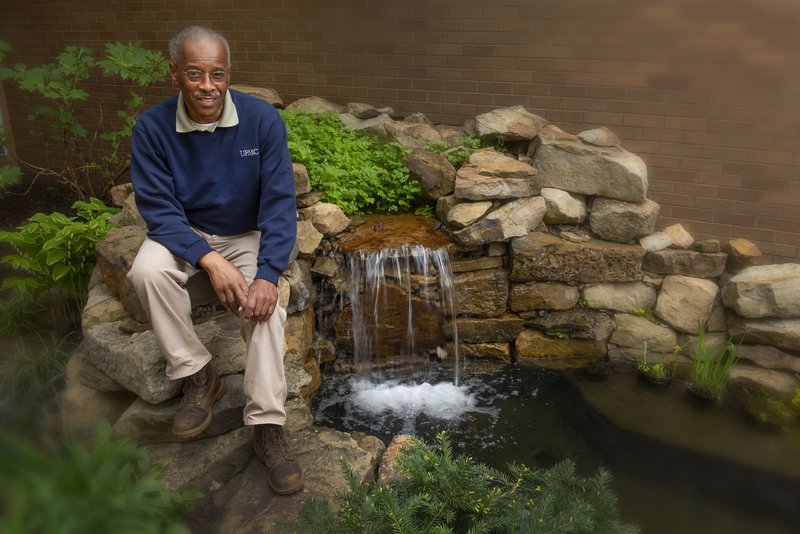 For eight years, Maurice Tyler has carefully tended the grounds and gardens of UPMC Passavant, looking after the greenery that brings color to the hospital community, even on the coldest of western Pennsylvania’s winter days. The gardens are one of the many comforts of home available at UPMC Passavant, and Maurice is honored to play a role in making people smile. From clearing snowy pathways to planting flowers that will blossom in spring, Maurice looks after the UPMC Passavant campus in all four seasons. And while there’s no guarantee what each day may bring, the groundskeeper has to come to rely on the positive reactions from passersby. Maurice considers each aspect of his job important; his favorite time of year is late winter, when he prepares the grounds for spring. Although he may keep his tips for growing the perfect rose a secret, he’s always touched to meet admirers of his gardening skills. In the eight years he’s been working at UPMC Passavant, Maurice has made plenty of memories. Whether fixing the latch on a door to the plant nursery or filling up a sandbox for the youngest visitors to play in, helping people is just what he does. Find more information by contacting UPMC Passavant. Maurice credits his green thumb to his grandma, remembering that as a young child he watched her working in her garden. He never envisioned a career as a gardener or groundskeeper, but credits his work at UPMC Passavant with changing his life. When you arrive at UPMC Passavant, the gardens are among the first sights to greet you. Maurice wants you to feel at ease from the moment you arrive, which is why his work is an integral part of the hospital community. Maurice calls his work at UPMC a blessing. Between the acknowledgments of his supervisors and the smiles from visitors, he’s proud to have a hand—or even a green thumb—in making your visit memorable.